Trail Mixed Memories is a blog about blazing trails from the desert to the sea and everywhere in between with my family. I'm a blogger and a outdoor mom of two kids. 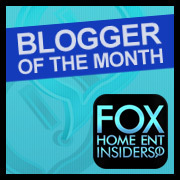 I share our activities, reviews, events, and adventures to other families to help get kids off the couch and outdoors. Our family enjoys fishing, hiking, camping, prospecting, geocaching, archery, SCUBA, dirtbike riding and river rafting. I also am an avid outdoor photographer that loves catching that unusual shot! 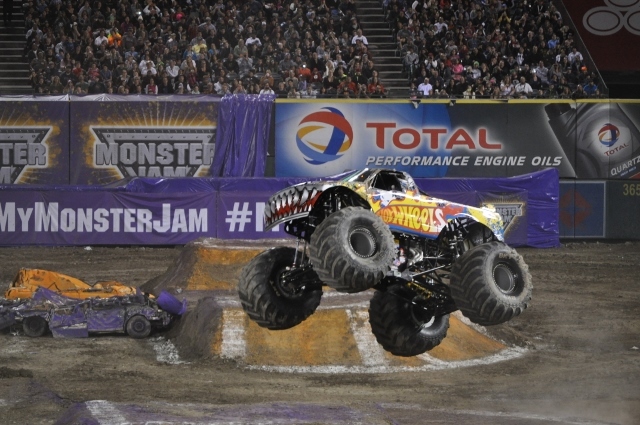 The Monster Jam series in Anaheim is well under way and my family was invited to check it out. We couldn't wait to see if our favorite trucks were racing. 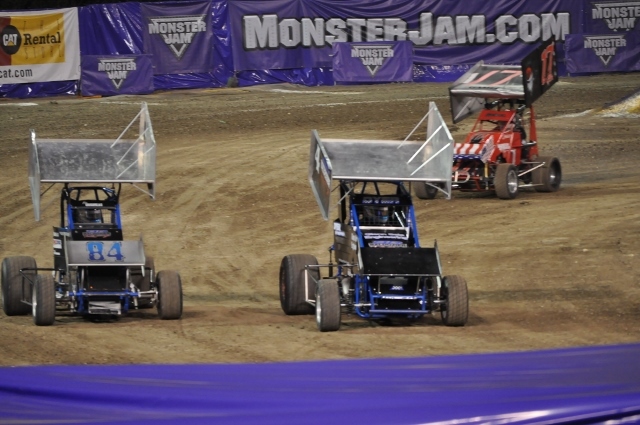 Ever since our first Monster Jam last year, my kids have been begging us to go again. I admit, Hubby and I were just excited! We are now the proud owners of no less than 12 mini monster trucks, 1 Hot Wheels Firestorm that jumps and one R/C Grave Digger! It is safe to say, we are now big fans. Who would win? Grave Digger? Monster Mutt? Hot Wheels? Mohawk Warrior? It could be anyone's race. With their headphones on, my kids were ready to yell and cheer. The races started out with the pre-show races that included Sprint Cars, Demolition Cars and even Mini-Tanks called Mud Tracks. I must admit, we all LOVED those mini-tanks! Their suspension is only a foot or so off the ground and to see them "jumping" was awesome! The timed races were starting and we got a view of some of our favorites. Here, N.E.A. and Captains Curse are neck to neck. My daughter's and my personal favorite were up and we couldn't scream loud enough! Monster Mutt Dalmation, was up against some of the toughest competition. Candice Jolly, Monster Mutt's driver took the races almost to the end where an unfortunate roll over put an end to her night, leaving the door open for N.E.A. to take the win. Our favorite event was up next, the FreeStyle. In this race, drivers are judged by their extreme jumps, donuts and tricks. The highest and lowest score of each were dropped and the scores added up to the win. Check out some of their incredible moves! The runs were spectacular and then Hot Wheels: Firestorm came onto the track. With jumps higher than the rest, he looked for a spectacular finish and found one! Despite the great runs by the others, Hot Wheels: Firestorm, was the clear winner with his high jumps and backflip! While there was only one winner, clearly, there really were no losers! The drivers put on a show that will be remembered for years! While there were quite a few flat tires, broken axles and other mechanical problems, the show was truly spectacular! 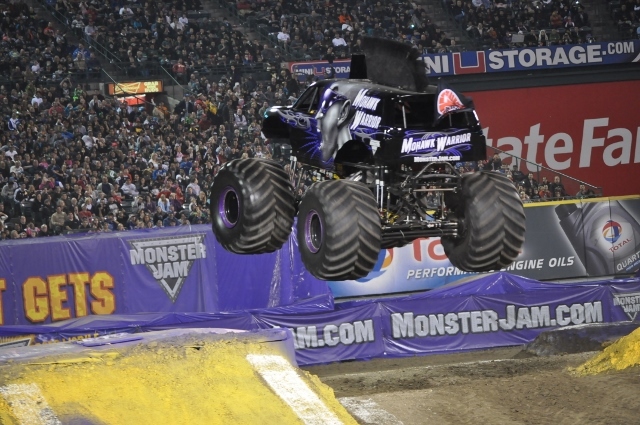 Check out more Monster Jam fun here. DISCLAIMER: I received tickets for my family in exchange for sharing my experience. All photos are copyrighted and may not be used without permission. All thoughts and ideas are my own. I've never been to a Monster Jam but I know my son would love to see this. I love hearing from you! If there is something you like or don't like, please let us know but please keep it clean. There are young people here that love to read your comments too. MOVIES IN THE PARK: Long Beach, Lakewood, Signal Hill, Los Alamitos and more!